Happy Valentine's Week! That's a thing, right? I got kind of excited about Valentine's Day this year--probably because I have kids in preschool now and they needed little treats to take to school. So I altered some past designs a bit and made some cute freebies you can download! 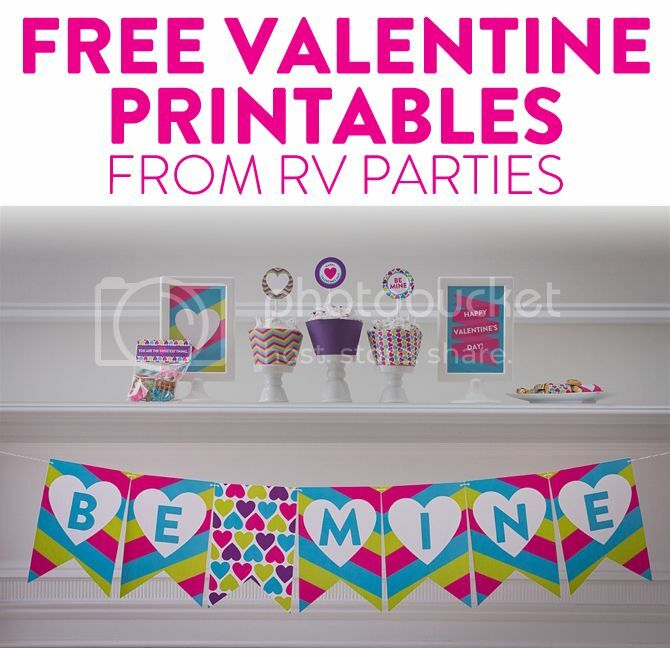 They are available over on the RV Parties blog. First, some cute and bright decorations! 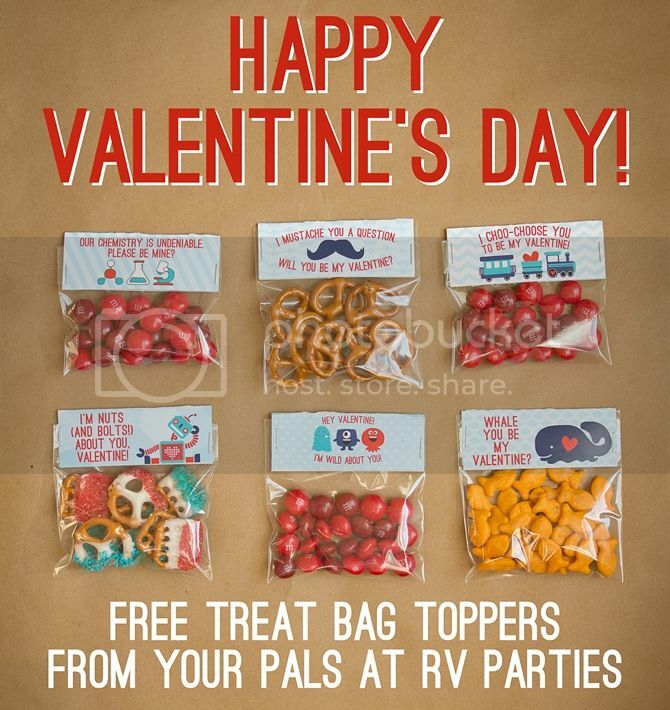 And a bunch of different treat bag toppers you can use to hand out treats to all your loves.